Airplane B; the pilot should expect to be passed on the left. Airplane A; the pilot should alter course to the right to pass. 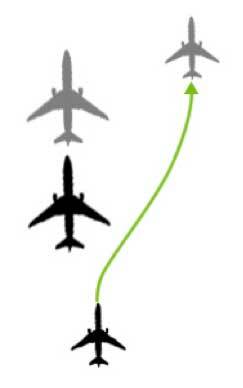 Airplane B; the pilot should expect to be passed on the right.